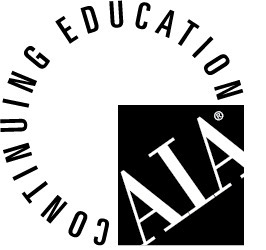 Barton Associates, Inc. is proud to be an approved educational provider with the American Institute of Architects Continuing Education Systems (AIA/CES) Registered Provider program. The AIA was created in 1857 and recognizes that continuing education is crucial to the advancement and improvement of the profession. We agree continuing education is extremely important and we understand the importance of great design therefore we are committed to offering quality education in accordance with the AIA/CES criteria. An overview of mold and moisture control in buildings focused on K-12 educational facilities in the Mid-Atlantic Region. These facilities typically have systems that do not allow for active dehumidification. This course identifies the sources of moisture in these facilities, how to operate existing buildings to minimize the conditions that allow for mold growth, and what design approaches should be utilized to control humidity and mitigate mold growth in facilities. Understanding psychrometrics related to moisture in air. Identification of moisture sources in buildings. Operation of facilities to control moisture. Design requirements for moisture control. Today, Americans spend 90% or more of their time indoors. But, as little as 100 years ago, the majority of our days were lived outdoors and governed by the rise and setting of the sun. In this presentation, we will explore how this shift from living in a naturally lit environment to one dominated by electric light has potentially effected both our mental and physical well-being. We will discuss how the trend for living in ‘cities that never sleep’ has only amplified our innate need to be connected with natural light on a daily basis. But, what if our environment, activities, profession, lifestyle or even physical health preclude us from having access to natural light each day? We will investigate a recent advancement in LED lighting technology that may finally be able to provide the best of both worlds…electric light engineered to provide the potential health benefits characteristic of natural light. Be able to discover the meaning of Biophilia as it relates to natural light through the analysis of common case studies. Be able to explore why humans have an essential need to connect on a daily level with natural light through the study of its effect on our circadian rhythm. Be able to investigate the potential effects that living the majority of our day under electric light has on our mental and physical health by examining current related studies. Be able to demonstrate how the emerging technology of Dynamic White LED Lighting has the potential to bridge the gap between our desire for the benefits of natural light while living in an interior environment dominated by electric light through hand-on demonstration. It is estimated that by the year 2030, 20% of the U.S. population will be 65 years of age or older. This new generation of Seniors is healthier, wealthier, and more socially-engaged than the generations before. They are not interested in the institutional-like retirement communities of yesterday. These Seniors are seeking luxury-style community living with age-in-place amenities that adapt to their changing physical abilities and needs. However there is one amenity that all Seniors are searching for because they know it is crucial to their ability to participate fully in life…Quality Lighting. This course will introduce to you the challenging needs of the aging eye along with proven lighting techniques designed to counteract degrading vision. We will discuss how to implement the latest sustainable lighting technology to help Facility Owners save energy while encouraging environmental awareness in Seniors as they thrive in their new surroundings. Be able to define the five common ways our eyes and vision degrade as we age using multiple visual comparisons of how the same environment looks to a 25 year old versus a 75 year old. Be able to implement lighting strategies that will help counteract the effects of the aging eye through the analysis of existing project photos demonstrating each technique. Be able to explain how quality lighting design provides both physiological and psychological benefits for Seniors using current research findings. Be able to integrate new LED lighting technology into their lighting designs to create appropriately-lit and environmentally-friendly spaces for Seniors through the review of example projects. When designing HVAC systems, the engineer is often faced with a trade-off between first cost and efficiency: high efficiency equipment and systems cost more to design, purchase and install. Between design, construction, and final occupancy, equipment installation and operation changes may compromise the engineer’s original intent. The end result may be a higher cost system that is less efficient to operate and provides a lower level of occupant comfort than anticipated. This course is a case study reviewing the HVAC commissioning of two industrial buildings renovated to college buildings providing administrative and teaching space. The course will review deficiencies identified during commissioning, including the impact of these deficiencies and their resolution. Understand current and future requirements for commissioning as set forth by the International Energy Conservation Code. Understand the commissioning scope of work as it applied to the project. The project was somewhat unique since commissioning was not contracted until just after occupancy of the first of two buildings. See a list of deficiencies identified, the corrective actions taken and their impact on energy usage and indoor environmental quality. During design, increased energy efficiency typically comes as a trade-off to higher capital costs. Once construction is complete, it is not unusual to find operating deficiencies that increase operating costs and yet fail to maintain occupant comfort. Understanding this – how it happens at the time of construction, how it may happen during occupancy, and the work needed to correct these deficiencies for the long-term benefit of the organization and all the building’s occupants is the key take-away from this presentation.